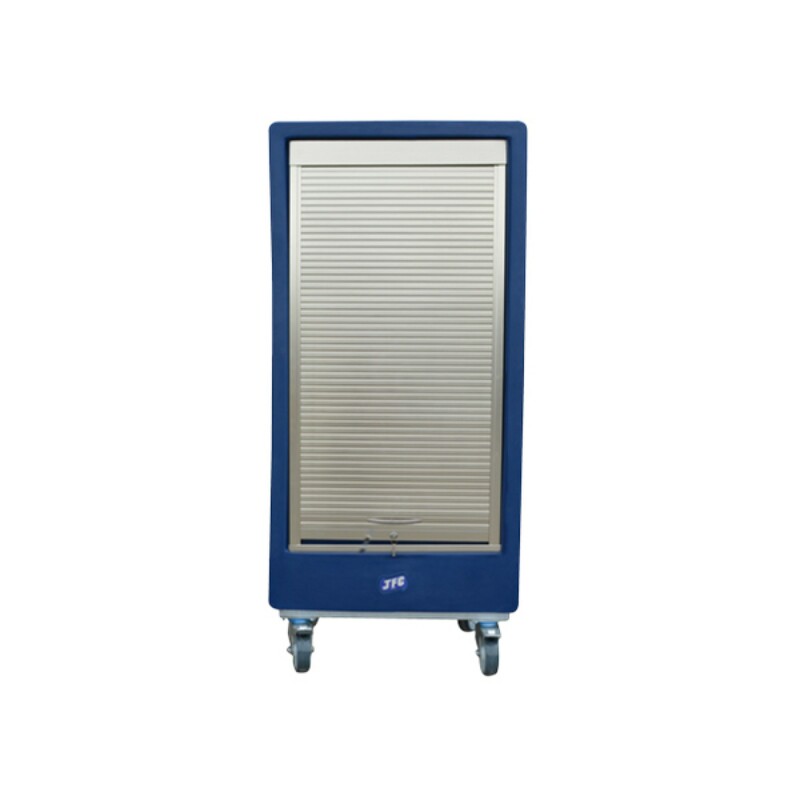 JFC Shelved Trolleys are tough, durable and surprisingly lightweight to use, even with heavy loads. The HK1000 trolley is manufactured from high quality, impact resistant polyethylene. 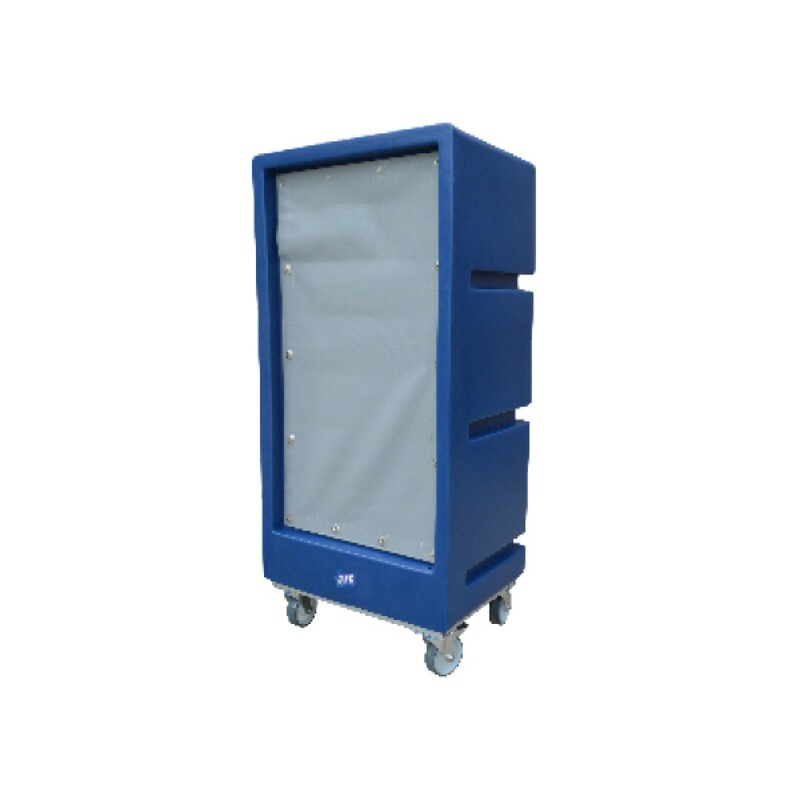 This single zip curtain trolley is fitted with 2 aluminium shelves available with 30kg or 80kg loading weights. The HK1000 is also available in a solid door option (Code: HK2000) both have excellent manoeuvrability even when carrying large capacity loads. This weather resistant trolley is fitted with a galvanised box section chassis and is suitable for a variety of industry sectors. Custom design and screen printing are available on request. The HK2000 trolley is manufactured from high quality, impact resistant polyethylene. 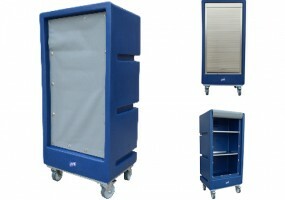 This trolley is fitted with two solid lockable doors allowing for extra security. The HK2000 is also available in a curtain model (Code: HK1000), both have excellent manoeuvrability even when carrying large capacity loads. This weather resistant trolley is fitted with a galvanised box section chassis and is suitable for a variety of industry sectors. Custom designs are available on request. Castor wheels are available in diamond or 4 corner formations for this trolley range. The LT700 trolley is manufactured from high quality, impact resistant polyethylene. 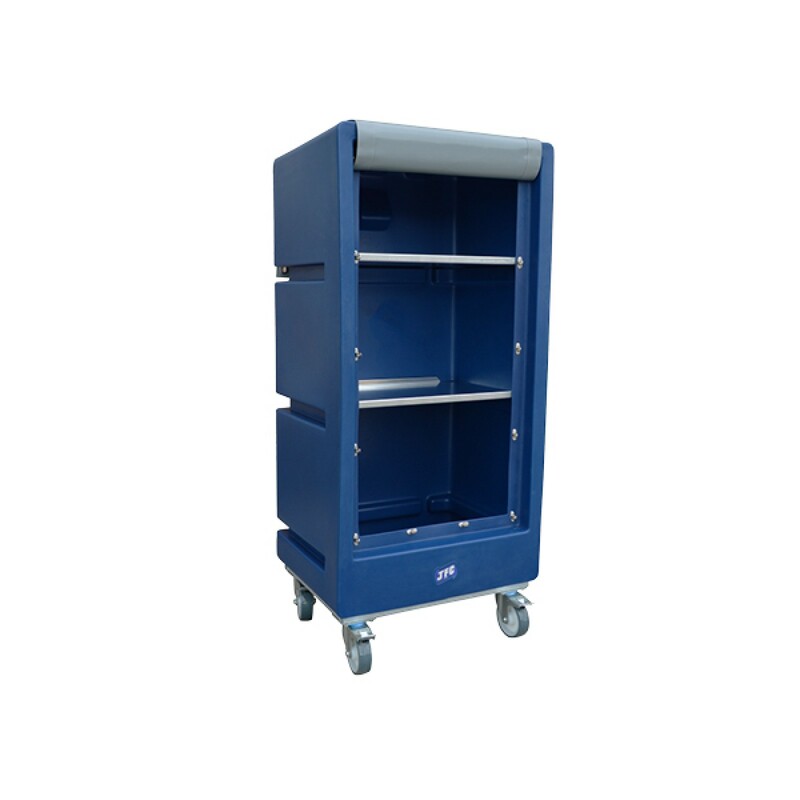 This single zip trolley is fitted with two aluminium shelves available with 30kg or 80kg loading weight. The LT7000 is also available in a non-shelved trolley (Code: LT7001) both have excellent manoeuvrability even when carrying large capacity loads. This weather resistant trolley is fitted with a galvanised box section chassis and is suitable for a variety of industry sectors. Custom design and screen printing are available on request. The LT6002 trolley is manufactured from high quality, impact resistant polyethylene. 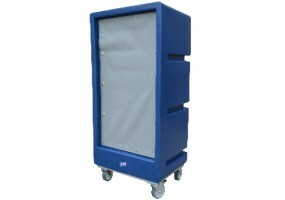 This single zip curtain trolley is fitted with a single shelf which can be easily stowed when not in use. The LT6002 is a lightweight trolley with excellent manoeuvrability even when carrying large capacity loads. 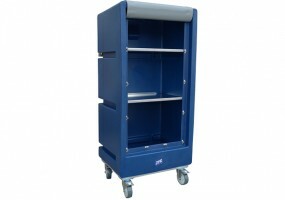 The LT6002 trolley is fitted with a galvanised box section with custom design and screen printing available on request. 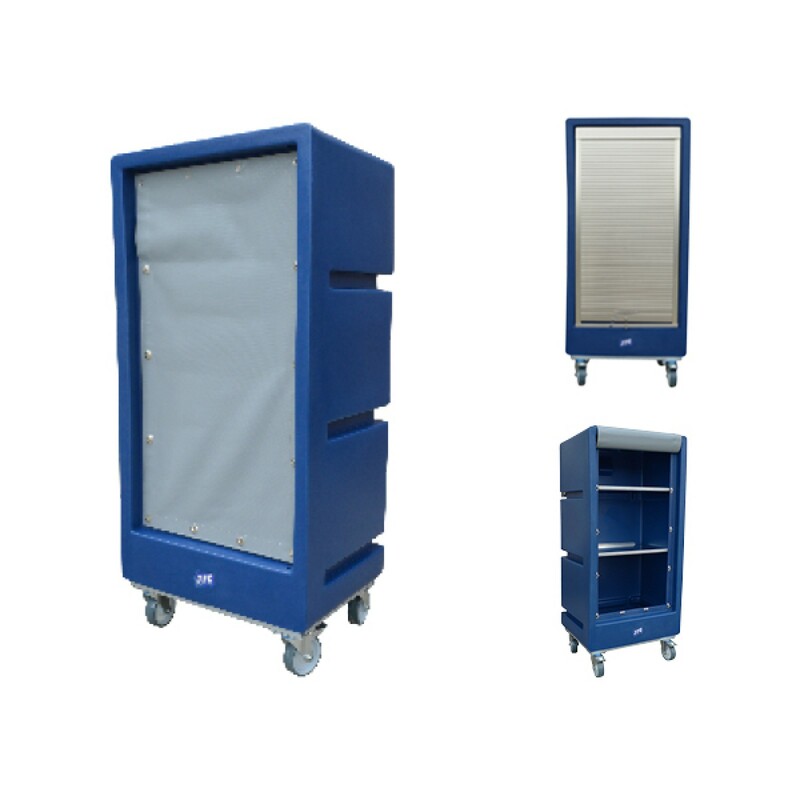 One of our latest additions to our ever increasing range of trolleys, this trolley can be supplied with a 900g PVC curtain, solid plastic hinging door or a lockable roller shutter door system as per client requirements. 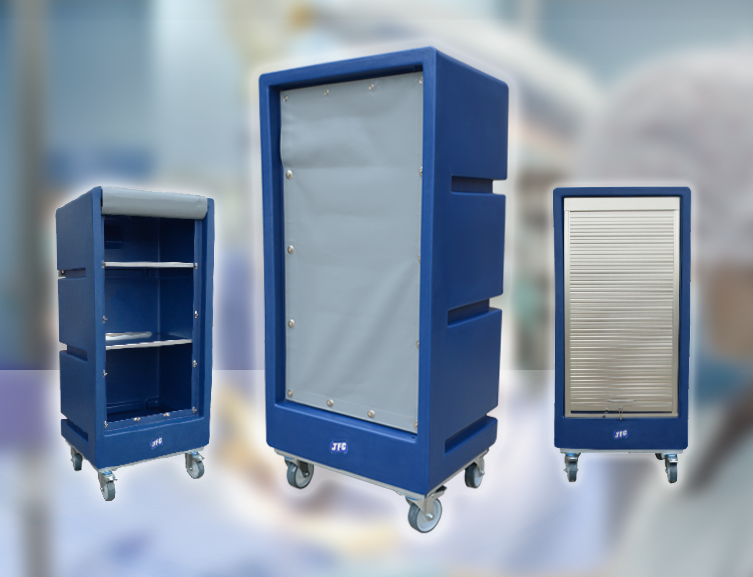 The unit is also available with aluminium or stainless steel shelves, which if required, can be removed for larger bulkier loads, making this trolley extremely versatile. With an overall height of less than 1.5 meters, this trolley is extremely user friendly on public passageways where unobstructed vision of potential hazards are a must.